For the last 5 years (since 2013) Big Chill Swim has been running some of the best winter swimming events in the UK and probably worldwide. This annual professionally organised event is based on a beautiful Lake Windermere in the Lake District, UK. Winter or ice swimming is considered when water temperatures go at or under 5 degrees C and you jump in and swim without a wetsuit. Yes, just a swim suit, swim hat and googles. You may be surprised by how many people take part of this “extreme” sport and recreational activity. 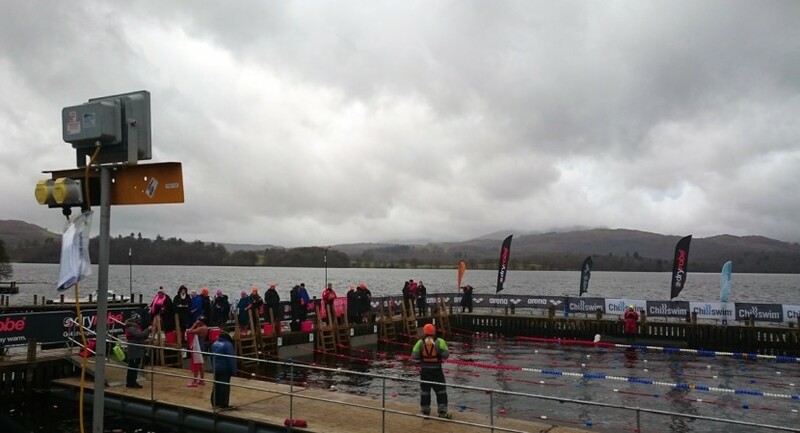 Big Chill Swim event last February 2016 hosted nearly 1,000 swimmers from around the world. Some swim for fun, some for better health, but some also compete and take it very seriously. Every two year there is a World Winter Swimming Event where swimmers compete in several categories.